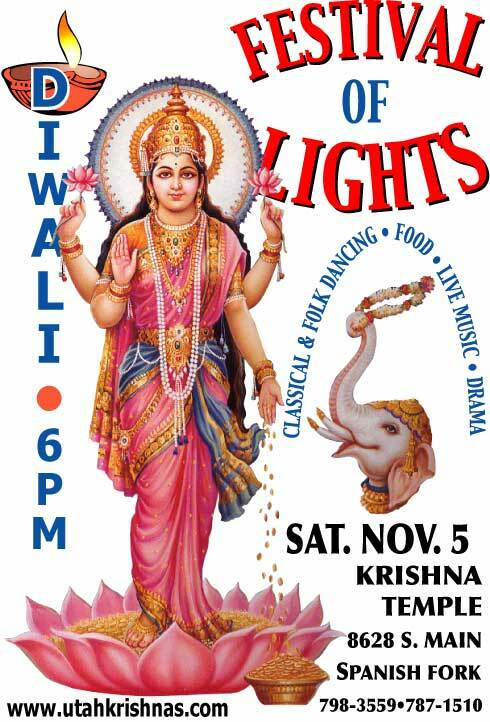 Kevin, me, Ben, and Amanda went to the Festival of Lights at the Hare Krishna temple in Spanish Fork....on Nov. 5. This is what it was! It was on a Saturday and I got off work and then went home and changed. I had no clue what it was like there and Ben told me I had to wear one of those things that goes over their hair/face...so I brought my scarf. I didn't know if that was a joke or a legit thing. I didn't end up wearing it like that...but it was funny. So we all met Amanda up there. 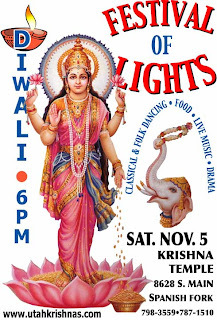 Amanda is in the Photography major at BYU and she had to interview some Indians who celebrate this festival so she was running around interviewing people and taking pictures before we got there. If you know me...you know my favorite animal is an ELEPHANT!!! Just a sweet bird in a cage...who talked...and it freaked us out. The bird would say whatever we wanted so the boys made it say "Ashley!" Here is a view of the whole temple...Ben & Kev...and Kev being really unique? Lol. Anyone seen The Little Princess? Does these Indian people remind you of it?!?! The blue man on the left is like a character that is in the movie, that the little girl would talk about in *a story* to the other girls in the orphanage...ahh love that movie! I'm actually even asking for it for Christmas! Then we got authentic Indian food which was actually Vegetarian and it was real good! SO unique and not like anything I've ever had at The Bombay House...however, I always get the Chicken Tikka Masala...so I'm not that adventurous. It was tasty! Then we watched a classical Indian dancer and she was fabulous...then we headed back home. I would love to go to India sometime!!! Oh, and during the dance performance an Indian couple was next to me, and when the dancer was walking on, I showed them some cool Indian hand moves *that the dancers use while dancing, that I've learned thanks to Folk Dance* and they kind of laughed/smiled...Sweet! Maybe they had no idea what I was doing, but I bet they did. PS. This is the evening when the idea of Zoapa grew...! hahha, you are so hilarious. I love it. That was so awesome when you started doing the cool Indian moves with your hands!! haha.